10.000 rich Mexicans are so scared of being kidnapped, that they have put a GPS chip under their skin. Mexican are so scared of men, that they have no fear left for God of the Bible. Diego Fernandez de Cevallos, “Boss Diego”, the Mexican power broker and former presidential candidate was kidnapped last year. 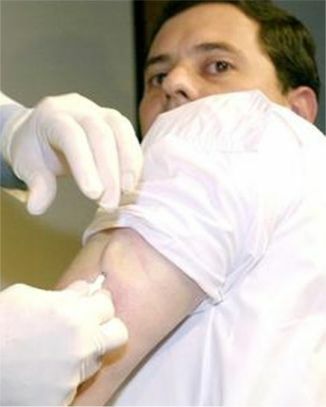 The chip implanted under the skin of a Mexican. Under-the-skin devices such as the one allegedly carved out of Boss Diego are selling here for thousands of dollars. The buyer gets a promise that they can help rescuers track down kidnapping victims. Xega, the Mexican company that sells the chips and performs the implants,says its sales have increased 40 percent in the past two years. Xega calls it the VIP package. For USD 2,000 upfront and annual fees of USD 2,000, the company provides clients with a subdermal radio-frequency identification chip (RFID), essentially a small antenna in a tiny glass tube. 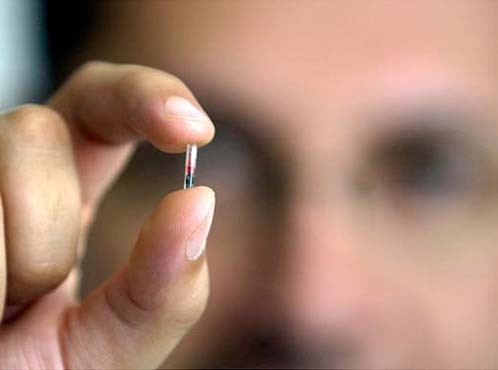 Mexican media reports have featured the chips, with some estimating that as many as 10,000 people are walking around with the implants. There is also a video on You Tube. The massive ongoing terror in Catholic Mexico, has resulted in the Mexican being more willing to receive the mark of the beast. The idea of having a GPS chip under your skin, is that the police will be able to find you. If you are alive, of course. After the “war on drugs” started in Mexico, almost 40.000 people have perished. On 12th of January 2011, Hufftington Post claimed the total number to be 34612 deaths. I have always warned, that the promoter’s of the “chip under the skin”, will come up with brilliant advantages for having such an implant. In Mexico the drug lords are the best promoters that can probably be. The end time electronic chip sells like hot cakes. Satan uses his terrorist children to enforce his will. Both in the Middle East, and in Mexico. Previous Post Ulf Ekman hails the Pope at festival in Madrid.